Olympus India Customer Care Number – Customer who have any issues/queries with regard to their Olympus products can contact the support numbers of Olympus which are listed below. For quick resolution of your queries and service issues please keep your Model Number, Year of Manufacture, Dealer name where the product was purchased and Complaint Number if already raised before. Olympus Digital Camera Customer Support number is provided below. Digital Camera Customers can also call the below numbers to solve any of your product or service queries. If you need more information with regard to latest drivers & downloads, new software, manuals for your products, product registration and warranty claims then you can either visit the company website or alternatively call the company. Below is the list of service centers for Olympus digital cameras. Customers can visit the ASC to avail the services. Apart from these, there are collection centers. To know the addresses of collection centers you may visit the official website. 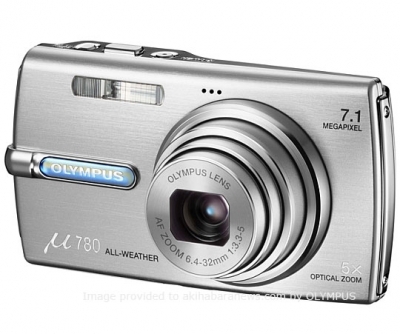 The digital camera product range of Olympus consists of Stylus-1, XZ-2, XZ-10, SH-2, SH-60, TG-4, TG-3, TG-860 and SP 100 EE. The drivers for the above mentioned camera models are available in the official website of the company. Olympus founded in the year 1919 is one of the leading manufacturer of optic and digital products like the cameras, binoculars, microscopes and other audio devices for medical and industrial purpose. Olympus Imaging India Private Limited was established to cater to the high growth markets with primary focus is on the sales & marketing of Digital Still Cameras, Olympus PEN, DSLRs, Accessories, Binoculars and Voice Recorders. Through its exclusive chain stores and zones the company is focused to cater to the audience across the country with stores in Bangalore, Cochin, Delhi, Kolkata, Mumbai, Noida & Pune with other stores to come in soon. For more information related to Olympus Compact Digital Cameras, latest models, prices and reviews, visit the company official website. it shulter continus opened &ciosed automaticaly when camera is on. I NEED THE CONTACT DETAILS OF OLYMPUS DIGITAL CAMRA SERVICE CENTRES IN DELHI-NCR REGEION AT THE EARLIEST. MY CMARA HAS SOME PROBLEM AND NOT STATRTING AT ALL!!!!!!!!!!!!! i WANT TO GIVE IT TO SERVICING IMMEDIATELY. KINDLY GIVE ME ALL CONTACT DETAIL;S.
I have “OLYMPUS Digital Camera – Model No. D – 535 Zoom”. It was working satisfactory before couple of months. Just now it is not working . Shutter is not opening. I request you please mail me name & address of the service center at Vadodara, Gujarat – India.